Read and learn from the great writers of the past and present as you explore the fascinating twists and turns of literary history. In the English language and literature program, you will encounter cultures that are different from your own through the study of English, American and world literatures. Practical skills, you ask? You’ll develop your ability to write with precision and imagination, adapt your writing to reach specific audiences, construct persuasive arguments and pay close attention to texts. Why study English language and literature at Gordon? Gordon is close to many locations of inspiration for lovers of literature and writing—the Emily Dickinson Museum, Edith Wharton’s home and Walden Pond, just to name a few. English faculty often organize group trips to attend lectures and other events in the historic Greater Boston area. Interested in creative writing? Gordon’s robust program will enable you to discover and develop your written voice. What careers can I pursue with an English major?  Submit your writing to one of Gordon’s on-campus publications, or join one of their editing committees—including the Idiom (literary and arts journal), the Vox Populi (alternative news and feature writing), and The Tartan (student newspaper). Maintain a minimum 3.5 GPA in the major and 3.0 GPA overall to make yourself eligible for honors in English, which involves working with a faculty advisor to develop an independent study with a substantial research project in literature or creative writing, culminating in a written honors thesis. Combine your studies in English with another area of significant interest. English majors have commonly pursued second majors or minors in secondary education, history, psychology, sociology and linguistics.